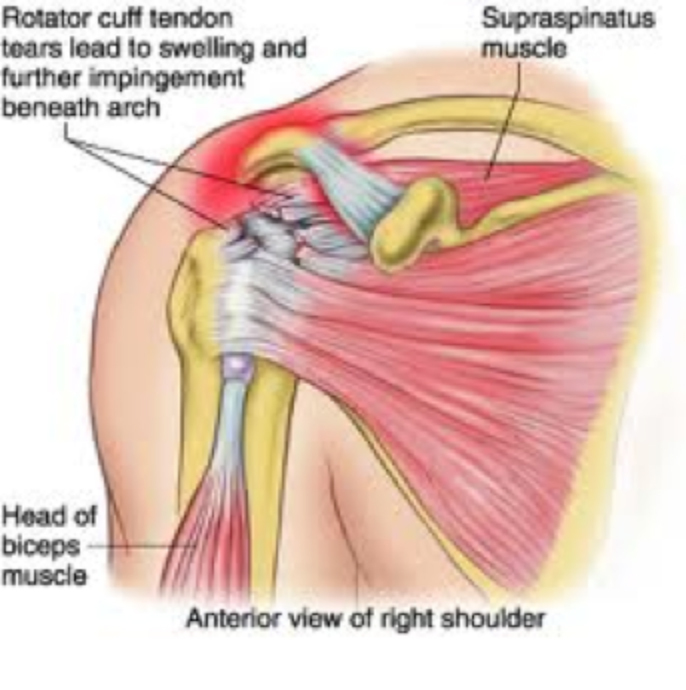 Rotator cuff tears – Sudihir RaoThe shoulder is a complex joint with an outer (deltoid) muscle and 3 inner muscles around the joint called the rotator cuff. The rotator cuff muscles/tendons control the shoulder during movement and can get damaged by injury, wear and tear, natural degeneration or by getting caught (impingement). Small rotator cuff tears can occur naturally and may not need treatment. If pain and loss function persist despite a local injections (steroid + local anesthetic) and physio is not effective then surgery in the form of Rotator cuff repair may be required. Typically the torn tendons are seen very well on MRI scans / Ultrasound. X-rays are not very informative. Surgery is carried out by Arthroscopy and repair of the torn tendons (if repairable). In chronic tears which cause a lot of pain / loss of function in elderly patients Reverse Shoulder replacement might be the only solution, if local injections of steroids don’t control pain.